This compilation was actually totally officially released by Metal-Is so maybe it should have been listed in the Official album section just like No Remorse. On the tours in 2000 they even sold merchendise for the compilation as well as the album itself. The 2 CD album, also released on vinyl as a 3 LP set with 7" live single, contained songs from the whole carrier, not only from the Bronze years. 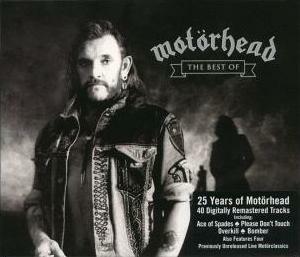 The front sleeve featured the black and white photo from the March Or Die photo but only with Lemmy. Behind him in the distant are two other figures but you cannot tell if they are members of Motorhead. And there are a lot of smoke. The back has the track list printed all over the surface but in the middle there are seven black and white photos from different stages of their career. Same pictures are featured in the booklet with a seven page biography by Phil Alexander, Kerrang. 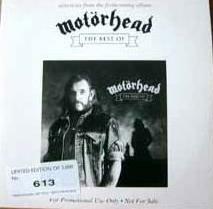 The first pressing was housed in a slip case with a sticker. It has then been re-issued several times with different catalogue numbers.